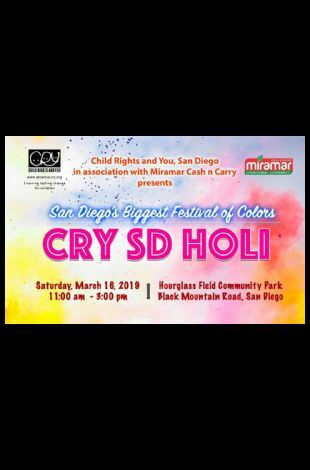 Please note CRY San Diego Holi 2019 occurred in past. 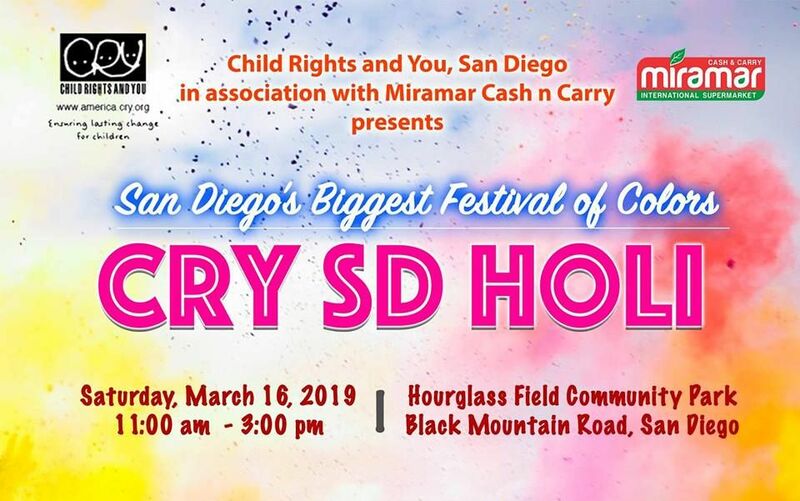 Join us for San Diego's biggest Holi, for a good cause! Holi signifies the victory of good over evil, the arrival of spring, end of winter, and for many a festive day to meet others, play and laugh, forget and forgive, and have fun with colors! CRY San Diego brings this tradition to San Diego to share with San Diegans - Indian or not. Additional color packets available for purchase - all safe and hypoallergenic! DJ will be mixing live Bollywood, Hip-Hop and Dance tunes! Games, "Pichkaari aka water guns, extra color and much more! Flavorful Indian food available for purchase from your favorite local vendors. Ample parking (free) available within the park/school.